THE COMPETITION IS NOW CLOSED. The winner has been contacted direct by email. To find the correct answers read on! The biggest ever response to a Darker Than Blue competition following the chance to win a copy of the Definitive Whitesnake Biography Limited Edition. It took me a good while to whittle down the 200+ entries to end up with 28 who had got all the questions correct. I then assigned each correct entry a number and Ann then picked a number from 1-28 to give me the winner. That winner is Ola, who lives in Luxembourg. The prize will be shipped once we have had confirmation of the full postal address (don’t want this to go astray!) as the book will be sent by courier direct from the publisher. David Coverdale’s first two solo albums were both recorded in two different European countries, backings in one, vocals in another. Name the countries. A – England and Germany (we allowed Great Britain). 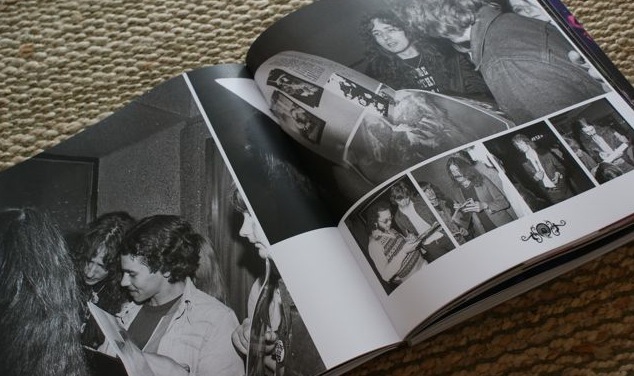 At which rock festival did drummer Ian Paice make his UK Whitesnake debut and in what year? A – Reading Festival, in 1979. A number of people missed the point about us wanting the UK festival debut (Ian did actually play a gig before this with the band). Between 1978 and 2008, there was only one year in which Whitesnake played no concerts at all. Was it 1985, 1986 or 1993? A – 1986. As some pointed out I made a mistake in the question as there were other years they didn’t gig up to 2008, but there was only one correct year from the three I asked people to choose from. Which UK daytime TV chat show did David Coverdale appear on in 2008 to promote Good To Be Bad? Was it Loose Women, The Jeremy Kyle Show or Richard And Judy. A – Loose Women. A surprising number of people got this right, the show must have more rock fans watching than I suspected! How many live concerts did Coverdale Page actually play? Was it 7, 12, 15. A – 7, these were all over in Japan. After David Coverdale himself, which member of Whitesnake has played most live concerts with the band? Is it Tommy Aldridge, Adrian Vandenberg or Neil Murray? A – Tommy Aldridge. This is the one which caught most people out, and I think I might have been tempted to put Neil Murray as many did. However, according to the book’s data list (assembled by Nigel Young – so no arguing), Neil did 325 shows whereas Tommy managed an impressive 559. My thanks again to Mark at the publishers Rufus Stone for this very generous prize. For more details of the book click here. Don’t forget there is a 5% discount for DTB members, ask for details. Courtesy of the publishers, we have one copy of the new Definitive Biography of Whitesnake book to offer as a competition prize. This is the top of the range edition, signed by Neil Murray and Bernie Marsden. The questions are printed below. To enter simply post your answers on this page as a comment. We will collect these up and enter all the correct answers into a draw. The last date for entries is March 30. 2012. The competition is not open to anyone involved in the production of the book, the publishers, authors, printers, etc. Publishers decision is final and the winner will be announced shortly after closing date, when we will also post the answers. Fantastic! The closing date is 30th march and the prize has already been awarded on the 12th. Huh? Not sure how you draw that conclusion Craig; the competition prize was most certainly NOT awarded on the 12th. The competition ran through to today (so a few extra days) and we will sift entries over the Easter break to get the winner. Um, I’ve spotted the flaw! Do I get a prize anyway. It’s already been awarded Stuart! 2. Was it the terrbily misbooked Ska Revival Gig, Hyde Park 1987?